Waking up early on the 31st December with a migraine put paid to my plans to get some work done before we hit the road. We headed off at lunchtime with the first part of the journey unusually quiet and joining a long line of traffic as we approached Edinburgh. The snow had melted from most places and over Shap we had low cloud and rain. In the Clyde Valley a huge parliament of rooks were feeding at dusk in the soft ground in a field. We passed the Biggar bonfire which always stays intact until it is lit on the evening of the 31st. The Congleton bonfire for the 5th November had to have a 24 hour security guard posted in the run up to stop anyone lighting it beforehand or making off with the pallets for their own fire. Sunset is now discernibly later so we arrived and unpacked before it got dark. 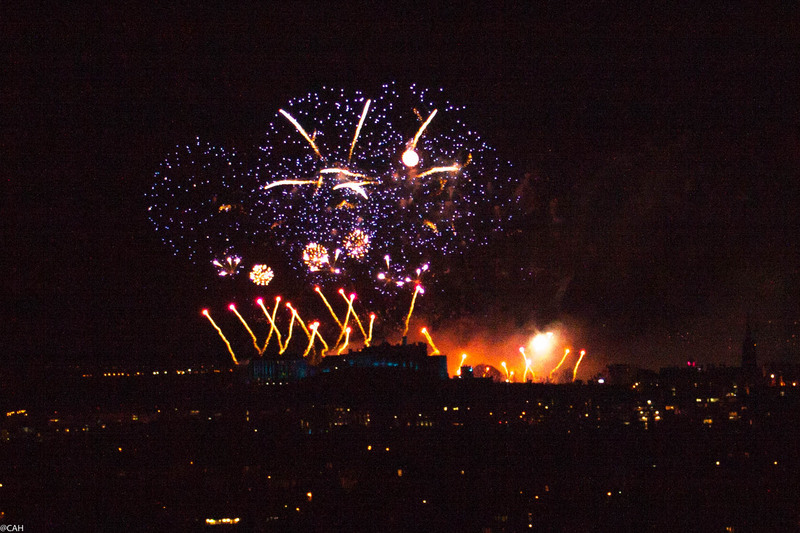 I was keen to experiment with firework photography so it was up Blackford Hill to try. The wind was very strong so I sheltered in the lee of the trig point until it was time to start. 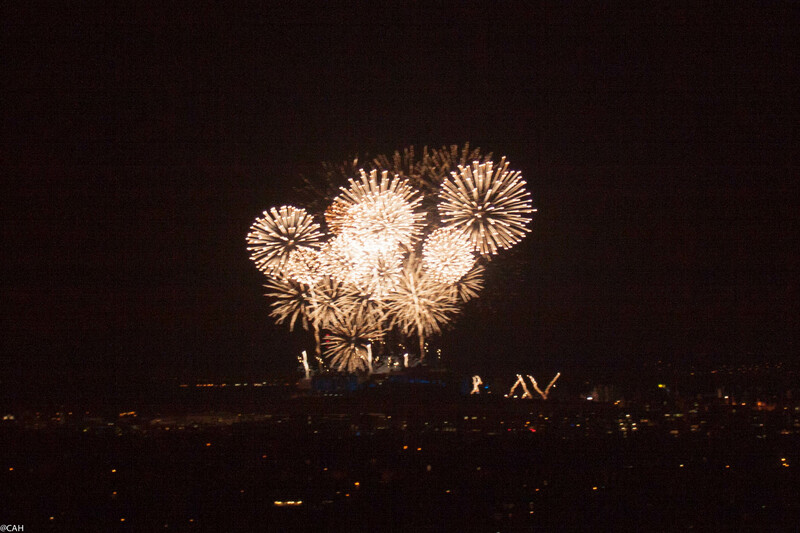 Even with support and image stabilisers, it was too windy for very long exposures but I managed a few reasonable shots. The last time we were up here at Hogmanay it was snowy and we slithered back down the hill. This time the descent was much easier. The challenge for another year will be getting some closer shots.